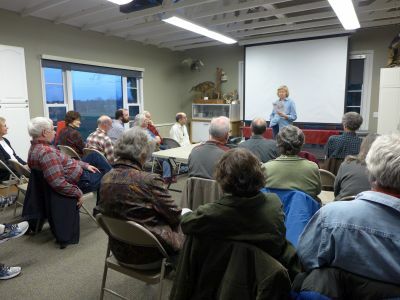 Mike Fialkovich presented nature in Southern California. 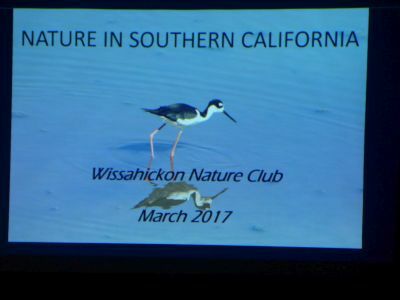 From 234 feet below sea level at the Salton Sea to just over 8000 ft. above sea level in the San Bernardino Mountains, the Channel Islands and deserts, Mike’s program showed the wide variety of nature Southern California has to offer. 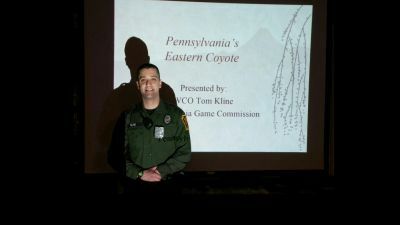 The Eastern Coyote is present in all 67 counties of Pennsylvania. 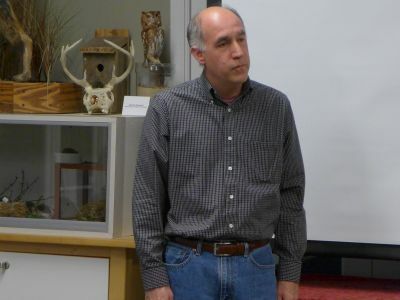 WCO Thomas Kline educated us on the coyote’s traits, habitat and some common misconceptions. He had a video of suburban coyotes that had been radio-collared. 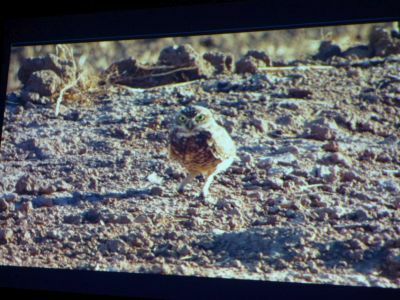 They were then able to follow them at night and record their behavior. 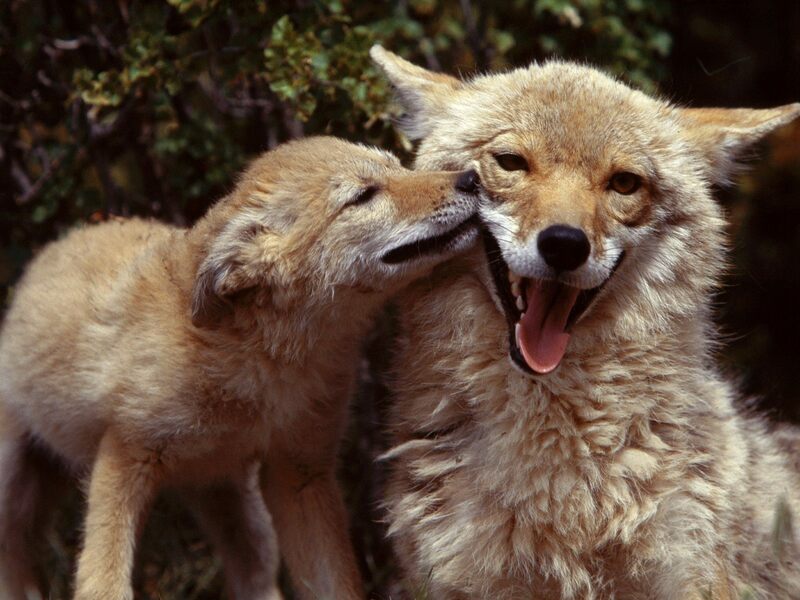 Coyotes are the number one predator of Canada geese, eating both the eggs and the young. They are opportunistic, feeding on whatever is easiest to obtain. Road kill and small mammals make up a large part of their diet. They will also eat fruit, like fallen apples and wild grapes, when available. Field Trip with Botanical Society of W. PA.